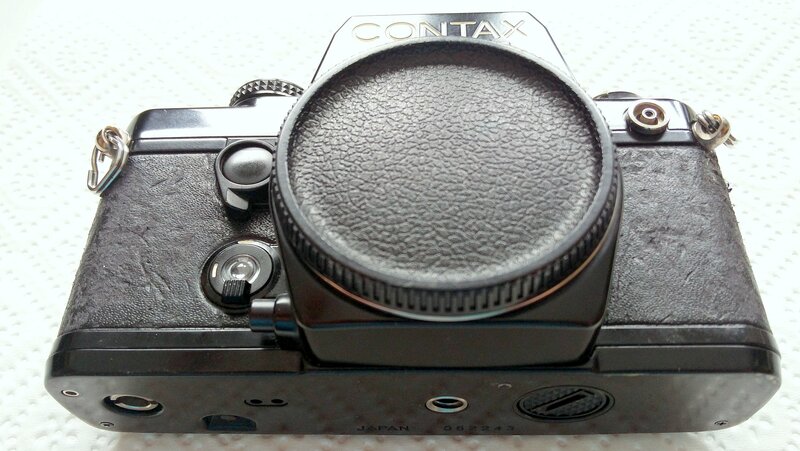 This time a beau­ti­ful Con­tax G1 found its way to me, accom­pan­ied by three legendary Zeiss lenses. All parts are in good shape, so let’s see what comes out when the first film is pushed through. … and the Carl Zeiss Son­nar 2.8/90mm. But now, film is loaded and on we go — an Agfa Vista 200 will do the job. The Con­tax G1 body has been reviewed on sev­er­al web-loc­a­tions — just check my web­site to name some — so there is no need to repeat. There are some points which are widely cri­ti­cized — things like a hyper sens­it­ive shut­ter but­ton, a small view­find­er, too slow max­im­um shut­ter speed and an unre­li­able auto­fo­cus — so I’ll have an eye on these. 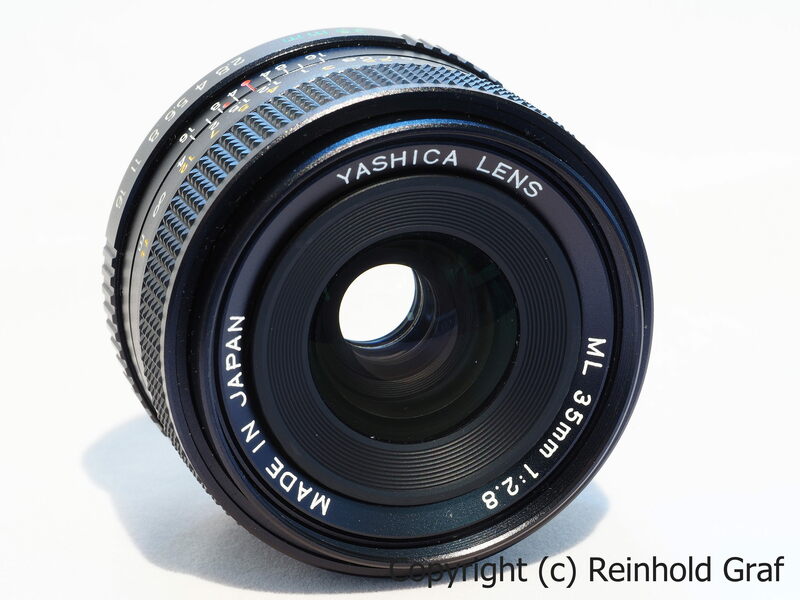 The first lens I’ll try is the Carl Zeiss Planar 2.0/45mm, which is said to be one of the best lenses of all times. Puh, … film is done and in the lab. In the mean­time I can talk about how it went, shoot­ing this combo. To me, this cam­era is a little gem. It fits in the hand like it was made for … me. Reminds me some­how on its SLR sib­ling — the 159MM. All dials and switches and but­tons are simply where they should be. As I was shoot­ing in aper­ture pri­or­ity mode with auto­fo­cus, the only thing to adjust was the aper­ture. First point, the max­im­um shut­ter speed of 1/2000s was nev­er an issue. Shoot­ing ISO 200 film there is plenty of room for adjust­ments for play­ing with depth of field. Using film with ISO 100 or ISO 400 or even ISO 800 makes it easy to work when the envir­on­ment makes it neces­sary. I do not know how some claim this 1/2000s to be an issue — too slow and not fast enough. Dur­ing their time, 1/2000s was not that bad, when most SLR and Rangefind­er offered 1/1000s — and yes I know there were SLR offer­ing 1/4000s already … at least some. Maybe com­ing from mod­ern DSLR or Mir­ror­less Cam­er­as (I really like this term as it describes an object with its miss­ing fea­ture) with their max­im­um shut­ter speed of 1/4000s or 1/8000s or even elec­tron­ic shut­ter with 1/32000s is some­how chal­len­ging for those old cam­er­as, but really .… it’s nice hav­ing it, but who need this? Second point, the hyper sens­ible shut­ter but­ton. When ‘half-pressed’, it trig­gers auto­fo­cus and auto­ex­pos­ure meas­ure­ment. To call this ‘half-pressed’ is some­what funny as you do not really need to ‘press’. 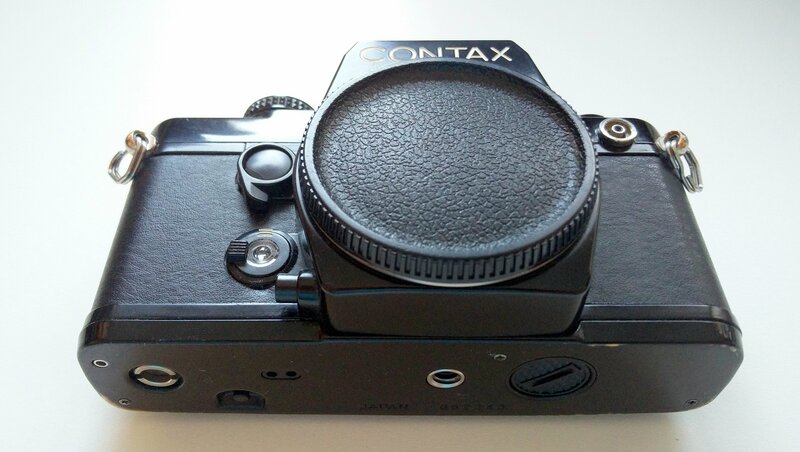 I com­pare it more with the shut­ter but­ton of my Min­olta X-700, where a slight touch trig­gers the meas­ure­ment. That’s it. You get used to it the more you use it. Is this not the same with all things you learn? Learn­ing to ride a bicycle is tricky in the begin­ning, but once you got it, it’s pretty easy for the rest of your life as you know how to keep the bal­ance. I can remem­ber my Yash­ica T5 which too has a cent­ral auto­fo­cus field only. Not hav­ing the inten­ded object in this focus field gives a missed focus … les­son learned. Same for my Can­on AF35 MKII. Cent­ral auto­fo­cus field and if you miss your inten­ded object it res­ul­ted in a missed focus … les­son learned. Easi­est to be seen when shoot­ing two people, fram­ing that both are placed well and point­ing the cent­ral focus field in the middle between them. Wow … get’s the back­ground sharp and in focus then. And yes, if you place ver­tic­al lines in this focus field it helps a lot. So there’s noth­ing spe­cial with it. Learn it and then do it — it’s like rid­ing a bicycle. That the pass­ive auto­fo­cus is not that good in really low light does not bear a big sur­prise. No con­trast, no auto­fo­cus. If you keep this in mind, auto­fo­cus works like always — and it’s fast enough. If you come from the digit­al age with your DSLR and Mir­ror­less Cam­era car­ry­ing tril­lions of focus points spread over the whole sensor and work­ing with arti­fi­cial intel­li­gence like algorithms to auto detect everything … yes, then you per­haps might get a little bit lost with a single cent­ral focus field. I learned, that many pro­fes­sion­al pho­to­graph­ers often deac­tiv­ate their auto­de­tect everything auto­fo­cus and use the cent­ral focus field only. Guess why? Fourth point, a small view­find­er … can we please skip this and go to the next point. 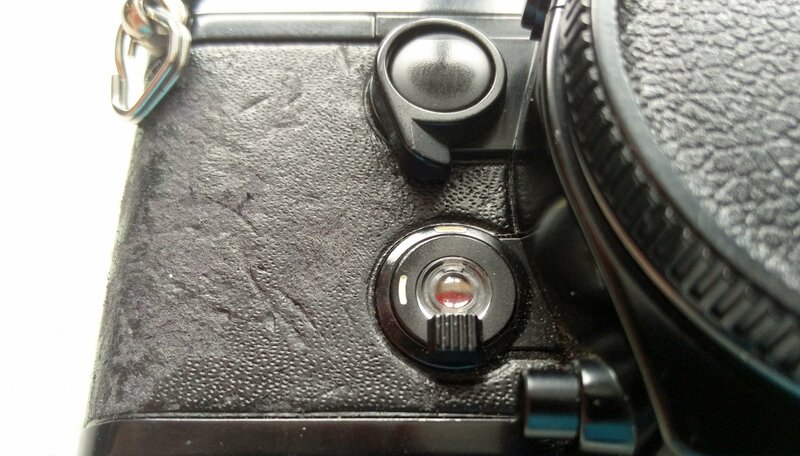 Indeed it’s small — the smal­lest I’ve ever seen, besides some very old cam­er­as like my Zeiss Ikon Ercona II. Once you know how to best look through it (i.e. pos­i­tion your eye), you see all things neces­sary. The info pan­el on the bot­tom, the cent­ral auto­fo­cus field and the full frame (pun inten­ded). Noth­ing more is needed to frame and focus. Shure, if the view­find­er would be like on a Min­olta Dyn­ax 9 this would be fant­ast­ic (more on that in a later post). But finally it shows what it should and its suc­cessor made it bet­ter with a lar­ger view­find­er — on the G2. If you can find one — get one and enjoy it. Point one, two, three and four show to me that you do not need to worry using this cam­era. Those were the most cri­ti­cized top­ics and none is a show stop­per. The oppos­ite is the case — this cam­era fells into hand as it was made for and it’s hand­ling is so easy. Besides all that tech­nic­al stuff, this cam­era is a real beauty — as beau­ti­ful as a cam­era can be. To me, this is a won­der­ful piece of tech­no­logy and worth being used to take pic­tures without any doubt. P.S. Just to men­tion, the full film can be found on flickr in col­our and in black and white. From time to time I take a pic­ture show­ing two cam­er­as side by side where I think it’s worth it. The first and the second image can be found here, show­ing two Can­on bod­ies (a Can­on EOS 3 vis-a-vis a Can­on EOS 5D) and two Con­tax bod­ies (a Con­tax Aria vis-a-vis a Con­tax AX). This time two Min­olta bod­ies found their way into my focus. They both make a very good job as pho­to­graph­ic tools and both still look like new. The Min­olta X-700 was the end­point of the manu­al focus SLR from Min­olta and served many years as my pre­ferred cam­era dur­ing the 80s. Besides a manu­al mode it offered aper­ture pri­or­ity mode and a pro­gram mode. It is equipped here with my goto lens — a MD Rokkor 1.4/50mm. 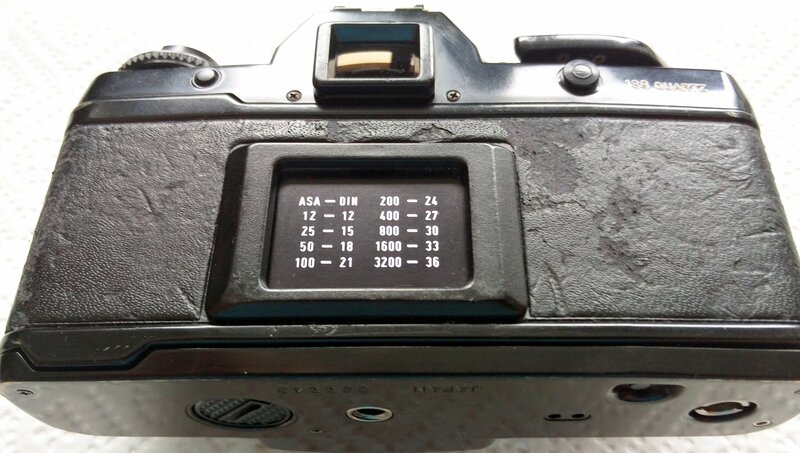 The Min­olta Dyn­ax 9 was Minolta’s final film auto­fo­cus SLR. An extreme pro­fes­sion­al body with tons of premi­um fea­tures nev­er matched by any of the com­pet­it­ors. 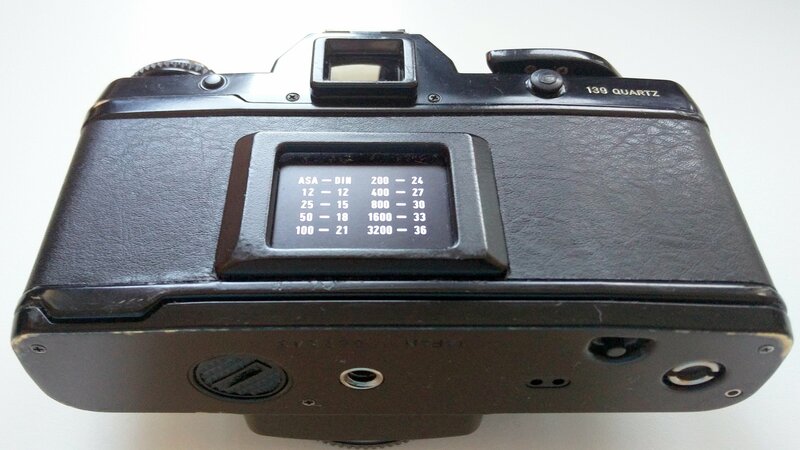 Some say it was the best film auto­fo­cus SLR ever made. It is equipped here with an AF Macro 2.8/50mm lens. They are both excel­lent tools from two dif­fer­ent peri­ods in the devel­op­ment of cam­era tech­no­logy — manu­al focus vs auto­fo­cus. Just to men­tion … the shot was taken with a Sony A7R2 and a Con­tax Carl Zeiss Planar 1.4/50mm lens attached. There are some resources on the web where you can find new cov­ers — one of them is Mor­gan Sparks from cameraleather.com. Mor­gan offers loads of stuff fit­ting per­fectly for a whole bunch of cam­era types. Deliv­ery from the US works flaw­less … per­fect ser­vice! The cov­er for my Con­tax 139 Quartz is about $19.50 plus ship­ping and it’s worth it. My first two Con­tax 139 are real beau­ties now. You can find an excel­lent how-to on his web page for both meth­ods — dry and wet. As one knows, Con­tax used real leath­er for its old SLR. Unfor­tu­nately this cov­er det­or­i­ated over time and what remains is quite ugly. Before we can apply the new cov­er, the old one needs to be removed com­pletely. Some­times the old cov­er can be pulled off quite eas­ily … let’s see … ups, this time it was quite a dirty job and I used some stain remover. I use a brand from East Ger­many called Nuth … the best I found for a lot of clean­ing pur­pose. After remov­ing the old cov­er, take some clean­ing alco­hol and clean the cam­era sur­face care­fully so that no dirt or fat (from the fin­gers) remains. There are three parts pre-cut — the back, the left front and the right front. The cov­er has a top side and an — very adhes­ive — back side. 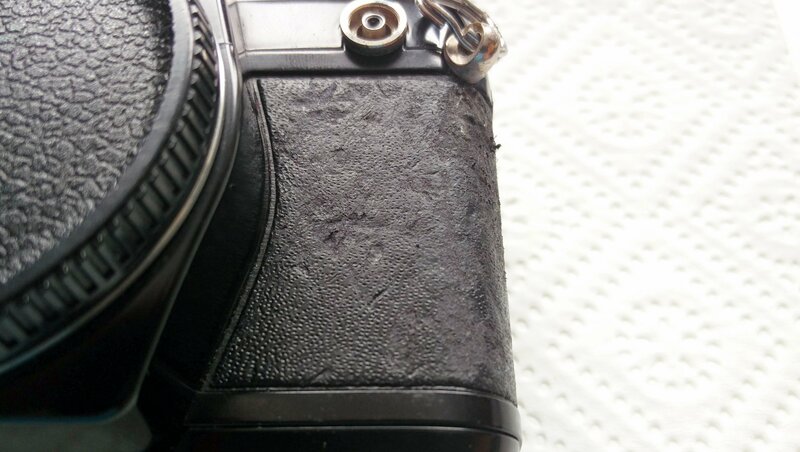 DO NOT TOUCH THE ADHESIVE SIDE — as this might ruin its cap­ab­il­ity to adhere!!! So let’s start with … the back. First pull the part off from the sheet and put it with the front side on a tab­let. Pre­pare a small cup with water, add a drop (!) of deter­gent — see hint on Mor­gans’ webpage . Now take a small brush and put some water on the adhes­ive side — this will reduce adhe­sion until the water evap­or­ates. Next, take up the part care­fully and apply it onto to the cam­era. As long as it is wet, you can slightly move it to cor­rect its pos­i­tion until it fits. Care­fully apply some pres­sure to the cov­er by smoot­ing. Now do the same for the oth­er cov­er parts. The final res­ult should look like this. Now … I’m keen to load a first film into that beauty. Some new kids arrived today to play with. First — and hope­fully the last of the kids — is a Con­tax Aria. Second — try­ing to com­plete the C/Y lens lineup — are three Yash­ica ML kids. One is the Yash­ica ML 2.8/35mm — one of my favor­ite focal lenghts. 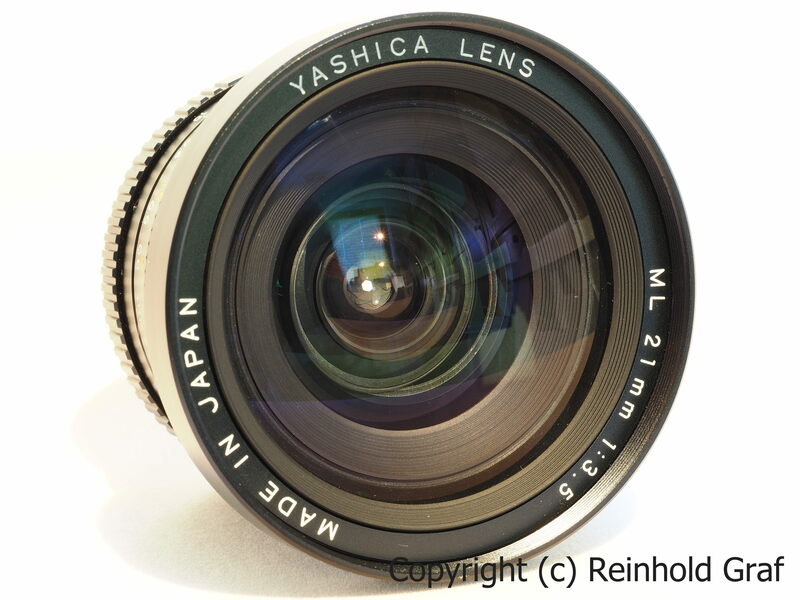 Anoth­er one is the Yash­ica ML 2.8/24mm — a highly regardes lens. 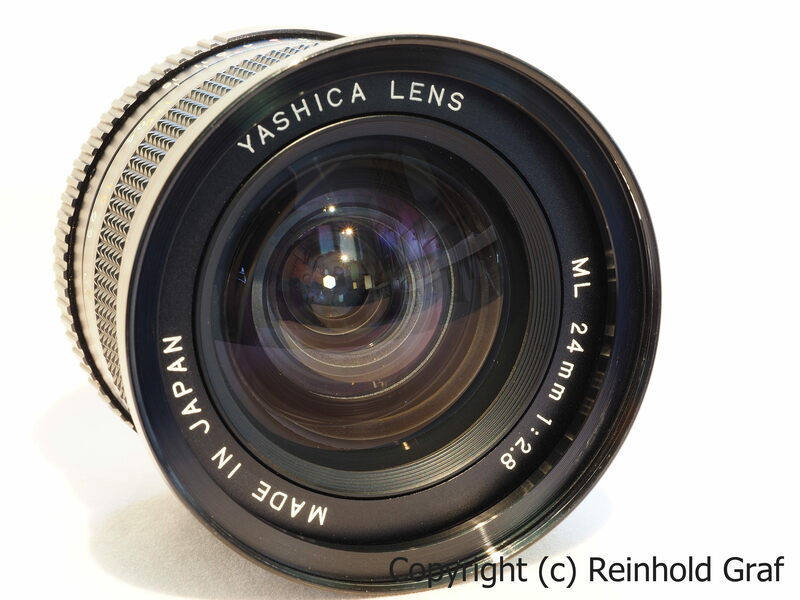 And the last one is a Yash­ica ML 3.5/21mm lens — the pre­de­cessor of the legendary and highly expens­ive Zeiss 21mm lens. Hope, that soon I’ll have time to push a roll of film through the Aria with each of the new kids.